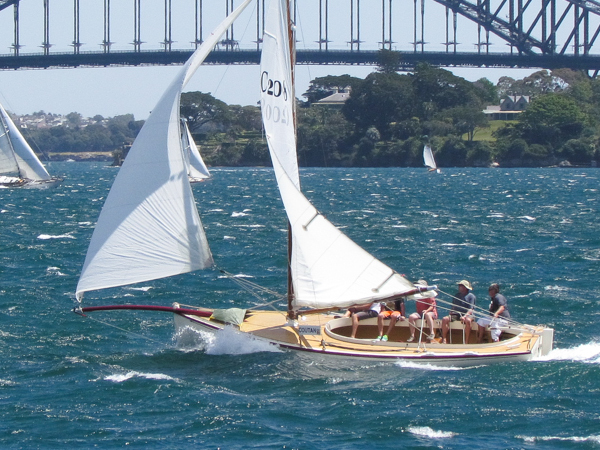 Sydney Harbour and on Pittwater on consecutive weekends in October 2015. 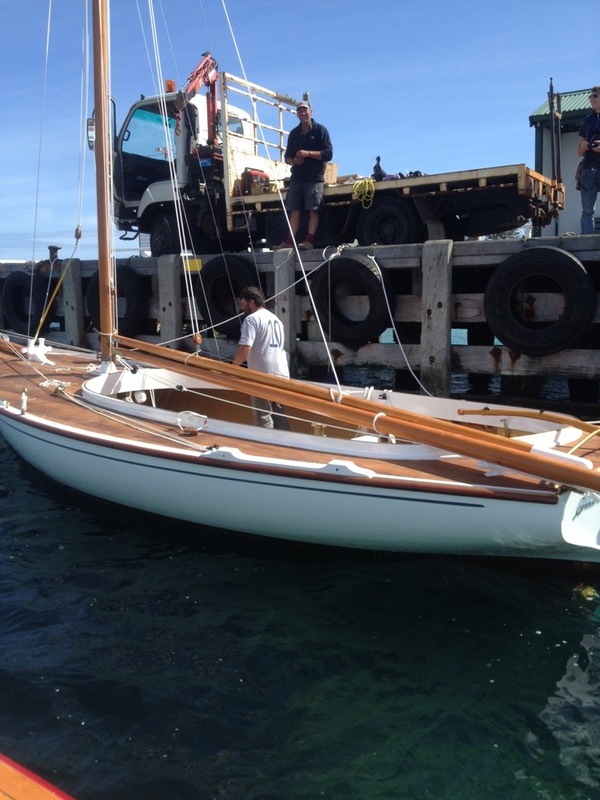 WATTLE CUP – hosted by the RPAYC on Pittwater on the 24th and 25th October. 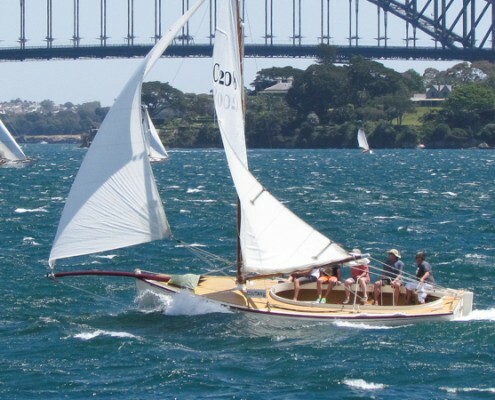 Facilities will be arranged for visiting Coutas to launch and rig on Sydney Harbour. on the Harbour and Pittwater. Twlight races conducted by the RPAYC on the 21st / 22nd October. Sunday. 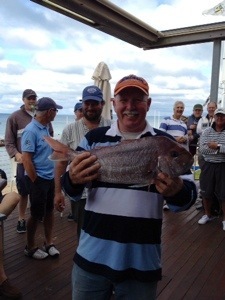 Prizes will be awarded for both winners and place-getters on handicap and on scratch. 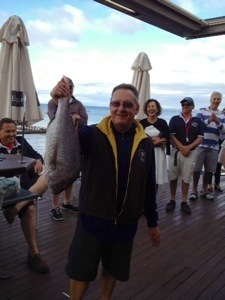 23rd at the RPAYC, a party / dinner on the Saturday and a prize giving BBQ on the Sunday. 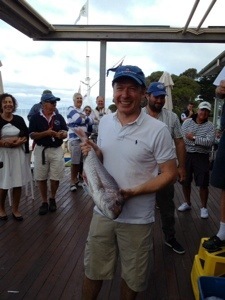 Larry Eastwood – President Coutaboat Assn NSW . Media Bob Fowler. 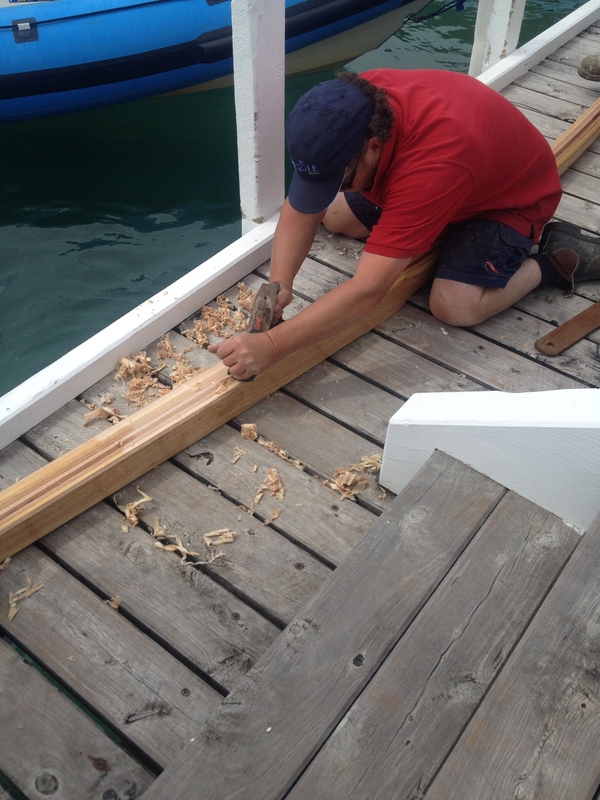 Truth is the close shave ended with a busted Jib Boom for Salacia. Here we see the new one being skilfully fitted at dock side by Mark Abbott from Corsair Boats. Those carbon fibre boats don’t know what they’re missing! Timber is so awesome. 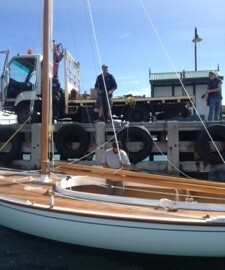 WBS team at work rigging the brand spanking new C2013. WBS Series concludes and summer begins. 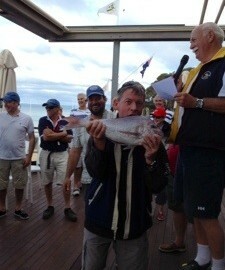 Andrew Skinner, Tim Phillips and SSCBC Club Captian Trevor Martyn congratulate the winners. 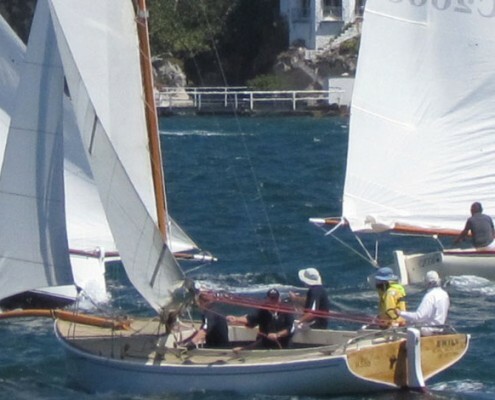 This classic event limited to boats that “Hoist a spar” is held by the Sydney Amateur’s Sailing Club. 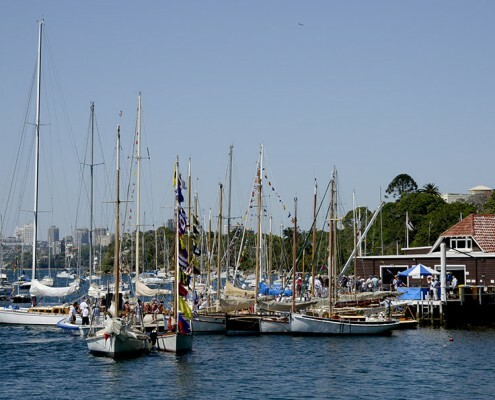 The SASC was founded in 1872 and is one of the oldest yacht clubs in Australia. 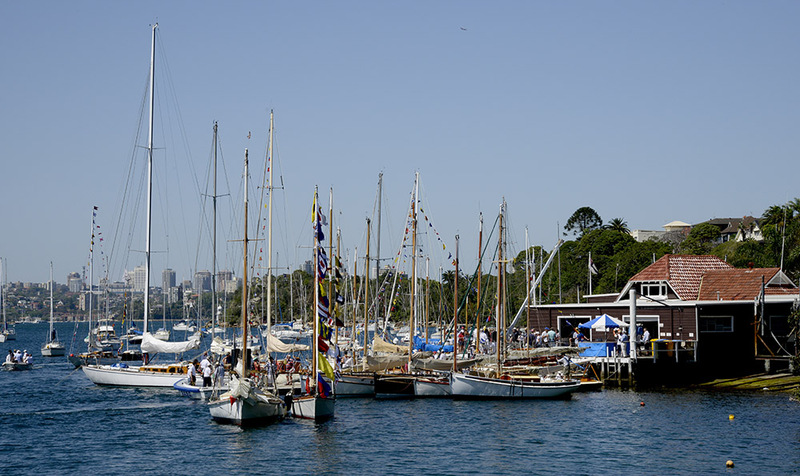 Located on the shores of Mosman Bay sailors enjoy unique access to racing on Sydney Harbour. 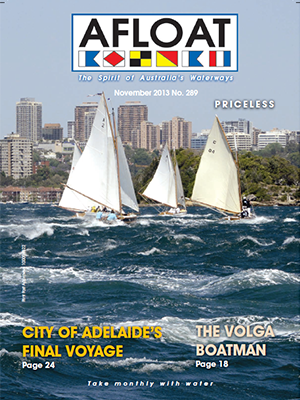 The classic yachts and Couta Boats are an impressive site among the busy traffic enjoying the harbour a the weekend. 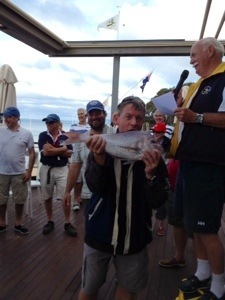 Congratulations to Colin Mitchell for his Line Honours win in the Gaffer’s – well deserved after trailering Matilda from Melbourne for the Gaffer’s Regatta and The Wattle Cup Couta Boat Regatta held a week later on the 19-20 October, 2013. Jump in to the on-water action at the ISAF Sailing World Cup and be part of the first ever Couta Boat Challenge! There are very limited tickets available for this exclusive event, so book your tickets now to ensure you don’t miss this amazing opportunity. The ISAF Sailing World Cup Couta Boat Corporate Cup and Luncheon will give you and your guestsa truly unique chance to get your feet wet at the ISAF Sailing World Cup, Melbourne and be truly immersed in the on-water action. 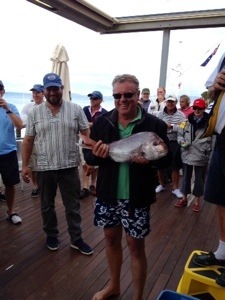 The morning will see you compete on board the iconic Couta boats for a race on Port Phillip, followed by a delicious lunch at the Sandringham Yacht Club Harbour View Restaurant as an exhilarating end to the working week. Those not taking part in the on-water action, can watch their peers and join them for lunch as they return from the water.